February 2019: Red Bull BC One, the world’s most prestigious one-on-one breaking competition, returns to India for its fifth straight year in the country. 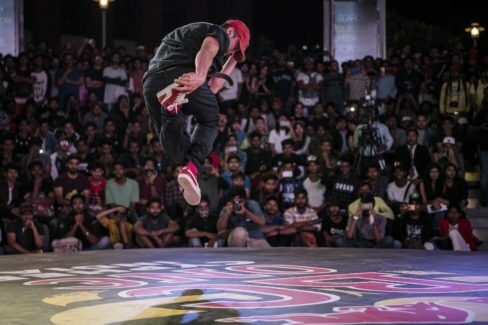 The first-ever edition in India in 2015 saw breakers from around the country travel to Mumbai to participate in workshops and Cyphers, with Flying Machine being crowned the first Red Bull BC One India Champion. Since then, the competition has grown in leaps and bounds in the country, with six City Cyphers being held last year. This year, the competition is set to expand even further, with City Cyphers being held in more cities and the addition of four regional Cyphers. In previous editions breakers competed in City Cyphers to earn their spot in the Cypher India; this year, those that are selected in the City Cyphers will then compete in the regional Cypher of their respective region. And, for the first time in the country, each region will also host B-Girl Cyphers, with two India Champions ultimately being selected at the national stage – one B-Boy and one B-Girl. Kicking things off is the East Zone Cypher, with City Cyphers being held in Guwahati and Kolkata on February 21st and 23rd, respectively. Those that are selected at the end of each of these will then compete in the East Zone Cypher in Kolkata on February 24th to earn their spot in the Cypher India. Red Bull BC One All Star RoxRite, undeniably one of the most respected names in the breaking world with more than 100 wins to his name, will judge the East Zone Cypher.